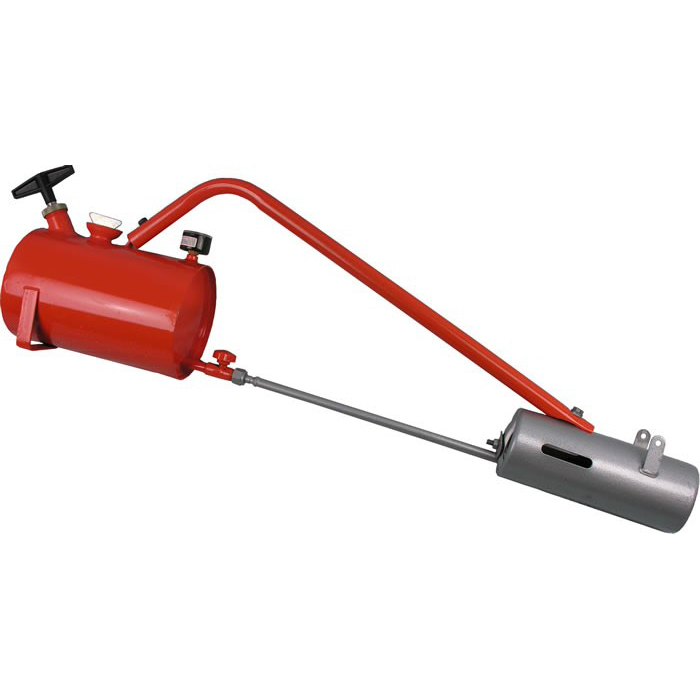 The Sheen X300 Flame Gun is an alternative and very effective way of controlling weeds in the garden and does so without the distribution of chemicals. The X300 Flame Gun destroys weeds with its 2000 degrees Fahrenheit controlled flame. When directed at the base of the weeds it stops sap rising so the top growth dries out in a day or two. A second use of the flame gun consumes dried up weeds and weed seeds leaving a potash rich residue. The paraffin fuel is contained in the integral tank and is pressurised by the built in hand pump. Using a simple control valve, its flow is carefully metered through the pre-heated helically wound coil. This heats and vaporises the paraffin as it passes to the burner where it burns at 2000 degrees fahrenheit.